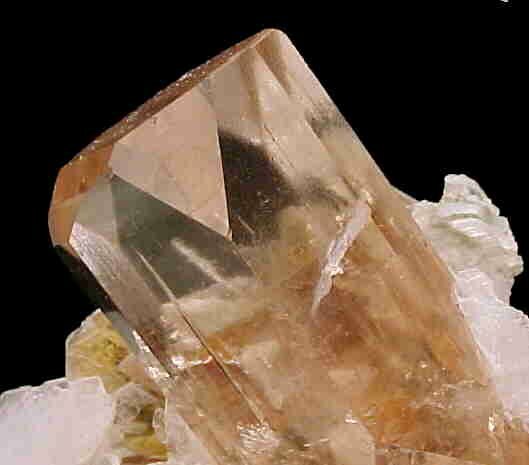 Comments: Transparent sharp gem topaz crystal set upon a matrix of crystallized white albite and silvery muscovite. Location: Yunu Village, Shigar, Gilgit division, Pakistan. Scale: 1.6 x 1.8 x 4.2 cm.